Rehabaid Society began as a small resource centre for people with disabilities and chronic illness in 1979 with a single room in the Duke of Windsor Social Service Building. 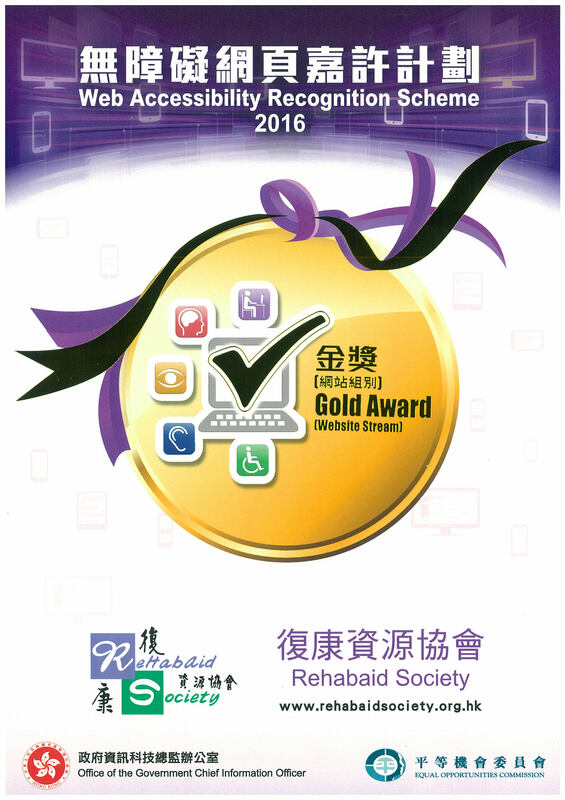 It was under the management of Hong Kong Society for Rehabilitation. Though modest in setting, it was a milestone for local professionals, who at that time were largely unfamiliar with assistive technology. 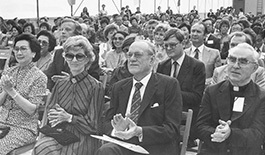 Mr John Marden and Lady Mary Hamilton officiating at the opening ceremony of the first Rehabaid centre in 1981, moved provisionally to a barrack offered by the army at Science Museum Road. 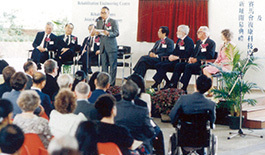 Mrs Harry Fang, Mrs Anne Marden, Sir David Trench and Father Collins officiating at the Opening Ceremony of Rotary Rehabaid Centre (RRC) and MacLehose Medical Rehabilitation Centre in 1984. Our Toy library was opened in 1986, facilitating the use of toys for treatment and home training programme. Successful appeals for funding enabled us to invite Mr. and Mrs. Fifield, sexual consultants from Canada, to present a series of workshops on “Sexuality and the Disabled” for health care professionals in 1986. This facilitates our pioneering role of the formation of our Sexual Rehabilitation Service. Our team advocates and promotes satisfactory in sexual life for people with disabilities, conducted educational events for social services units. Ms. Cecilia Lam, Professor Ng Man Lun, Mr. Lee Ka Cheung and Mr. Peter Chan attended as officiating guests at the event. 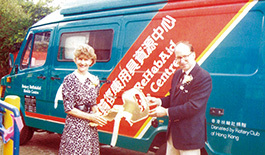 The first Rehabaid Centre moved to its new building at the Hong Kong Polytechnic University in 1987. His Excellency the Governor Sir David Wilson cut the ribbon to declare the opening and viewed the exhibition. 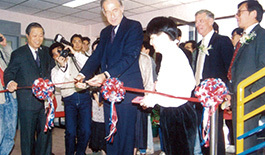 The Rehabaid Society has been a pioneer in bringing innovative treatment technique into Hong Kong. 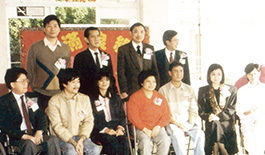 Numerous workshops had been held involving overseas speakers, e.g, in 1987,Dr. Miyazaki from Canada was invited to conduct workshops on “ Clinical Users of Biofeedback”. 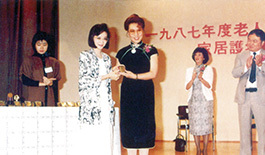 In year 1987, Ms. Elizabeth Wong (Secretary of Health and Welfare) presenting a token of thanks to Ms. Cecilia Lam for her participation in the Elderly Home Care Exhibition organized by the Social Welfare Department. 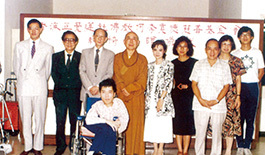 The Rehabaid Society staff and representatives of Heung Hoi Ching Kok Lin Association in a wheelchair donation ceremony. 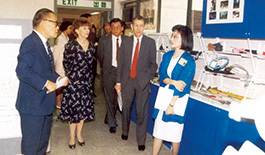 A delegation from China headed by Deng Pufeng (Deng Xiaoping’s son) visited Our Children Centre in 1987 to further strengthen the Rehabaid Society involvement in the development and the facilitation of rehabilitation in China. 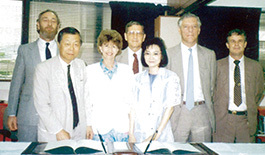 Mrs. Anne Marden, Mr. M.B.Lee, Ms. Cecilia Lam and representatives of the Hong Kong Polytechnic University , including President John Clark and Duty President Mr. Derek Lindsay signing an agreement between Rehabaid Society and the Hong Kong Polytechnic University in 1988. 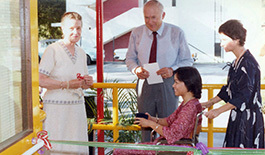 Mrs. Anne Marden and a representative of the Rotary Club of Hong Kong officiating at the ceremony where funds were donated to establish the first Rehabiltation Mobile Centre service in 1988. 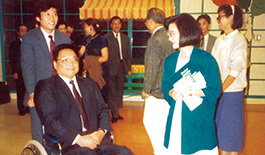 Sir Chung Sze yuen and Mr. John Chambers from the Provisional Hospital Authority visiting Rehabaid Centre in 1989. 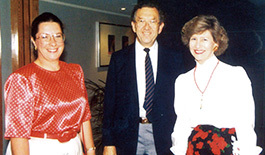 Mrs. Anne Marden handing over her Chairmanship to Dr. Peter Lewis in 1990. 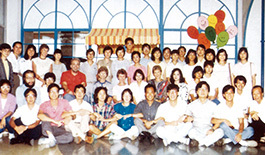 In the year 1990, the Rehabaid Society moved to its existing premises at the Hong Kong Polytechnic University. Sir Sze-yuen Chung officiating at the opening ceremony. Sir Chung Sze yuen and Dr E.K. 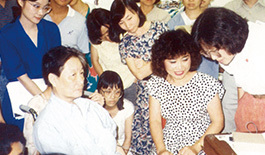 Yeoh visiting Rehabaid Centre after it joined the Hospital Authority in 1991. Rehabaid Society has been hosting visits from its international counterparts . 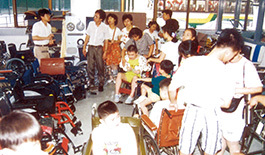 Hera a group of people with disabilities from Taiwan, was visiting Rehabaid Centre to collect information on assistive technology (1991). Rehabaid Society set up a model home and office in a community exhibition title “ Community Health Day”, organized by the Hospital Authority on 1 2012 to educate the general public on the use of assistive technology in enhancing the fulfillment of life roles at home and work. Dr. E.K. 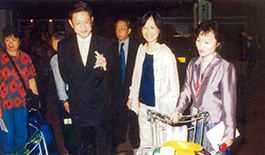 Yeoh (Secretary for Welfare and Food) and Dr. 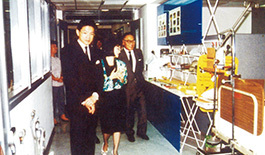 Lo Ka Shiu (Chairman of the HA Board) visited our simulated home and office. 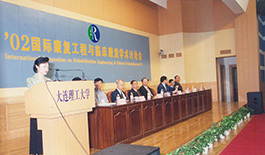 With the recognition of Rehabaid’s role in assistive technology and community rehabilitation Society , our Hospital Chief Executive Dr Cecilia Lam was invited to act as an officiating guest at different functions in China, including international exhibitions and the opening of resource centres modeled after Rehabaid Society ’s operational philosophy. 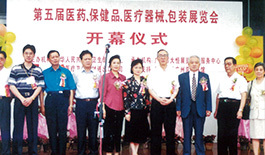 Dr. Cecilia Lam continued her efforts in facilitating the development of rehabilitation in China by giving educational talks in various provinces. Our international links continue to enable us to share experience with overseas health care and social welfare professionals. 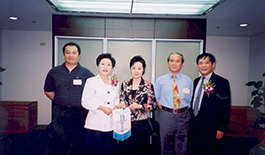 Our Hospital Chief Executive presented as a keynote speaker at a rehabilitation conference organized by the Taiwan Eden Social Welfare Foundation, and was received by high-ranking Taiwanese officials, including the Secretary of Health and Welfare (2003).